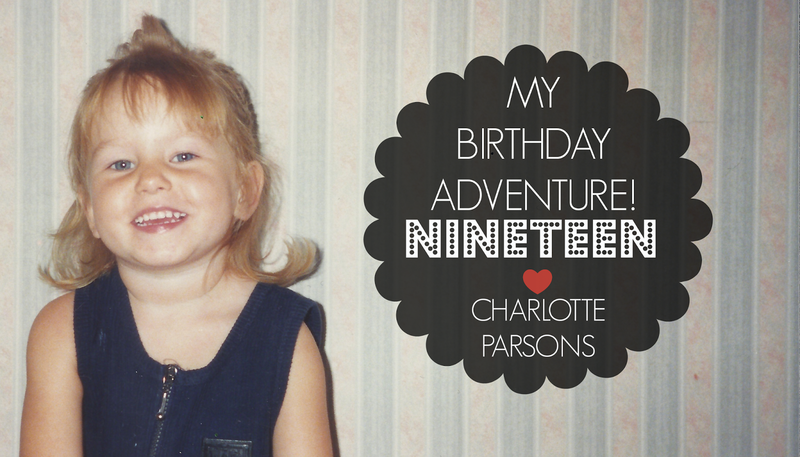 charlotte lenia | doodles ･ lifestyle ･ wonder: My 19th Birthday Adventure! Hello there wonderful's - I got a jam packed birthday post coming right up, so grab your cups of tea and join me on this celebratory occasion! On Thursday the 6th of March, I myself turned a whole year older - HAPPY BIRTHDAY TO ME WOOHOO! 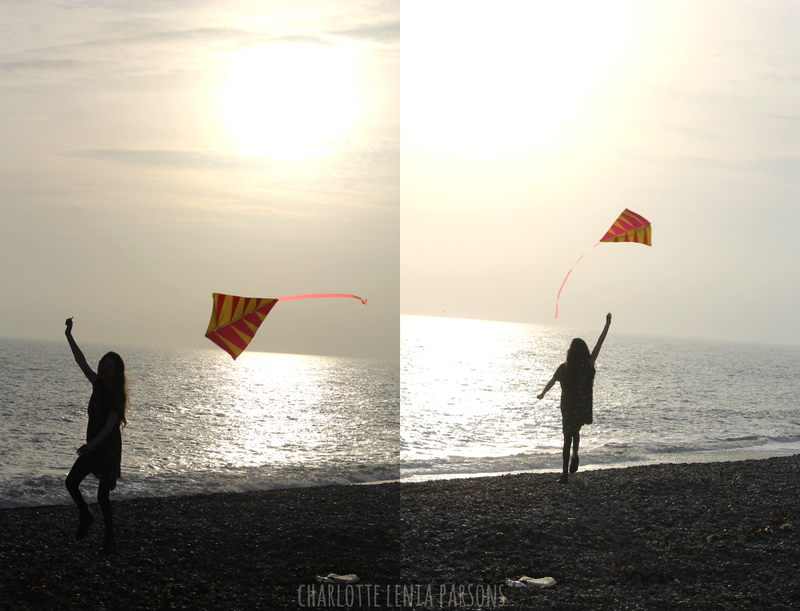 And to celebrate, myself and my mum planned a mini adventure involving Brighton, kites, oh so much chocolate and fun! 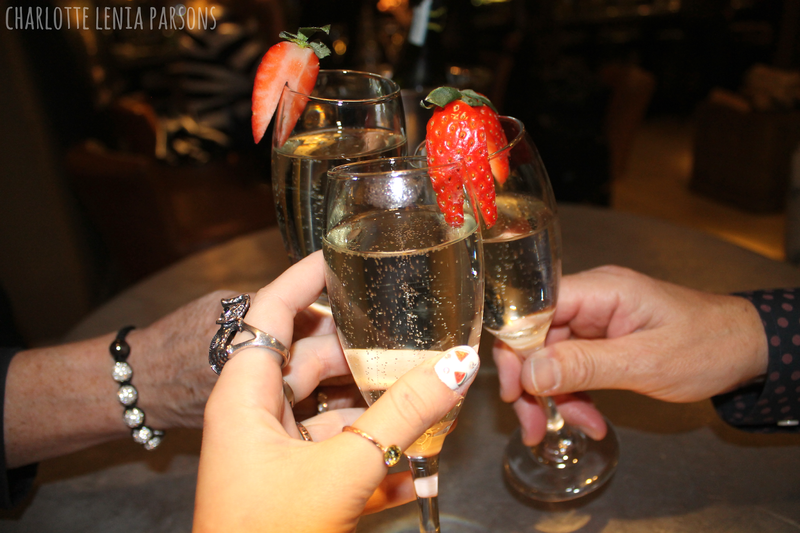 This post includes what I wore, my birthday nails, what I got up to and other lovely things, I had a very special 19th birthday, I hope you enjoy this post as much as I did my day! 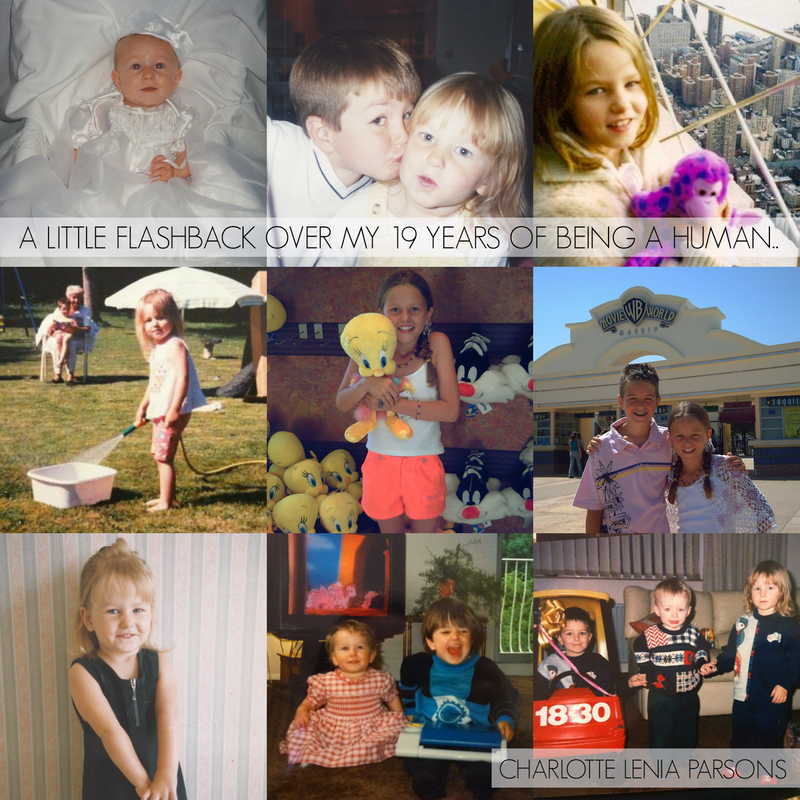 Thank you to my wonderful parents who dressed me up in a Tots TV tracksuit (bottom right.. my brother matches..) Haha baby photos warm my heart, the best of times - Anywho's, on with my birthday adventure! 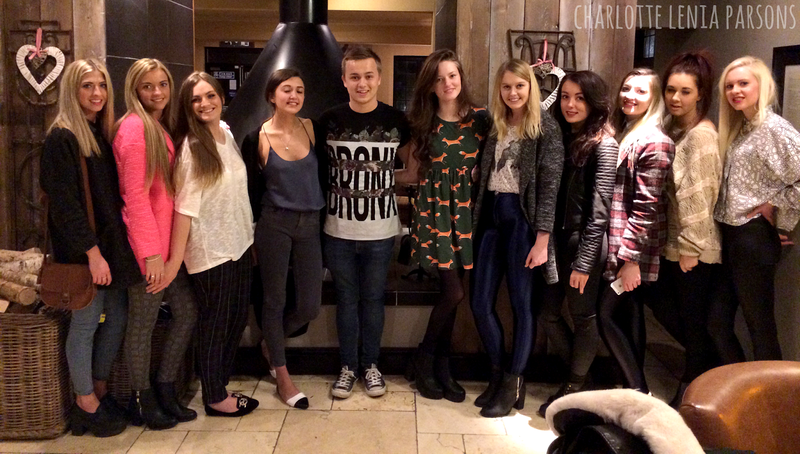 I previously mentioned in my London Fashion Weekend post that I may have bought myself a few new birthday clothes... This dress was part of that pre-birthday pack - I just couldn't resist, I am a lover for all things relating to wonder and nature - often spilling my heart into that over on my Tumblr. 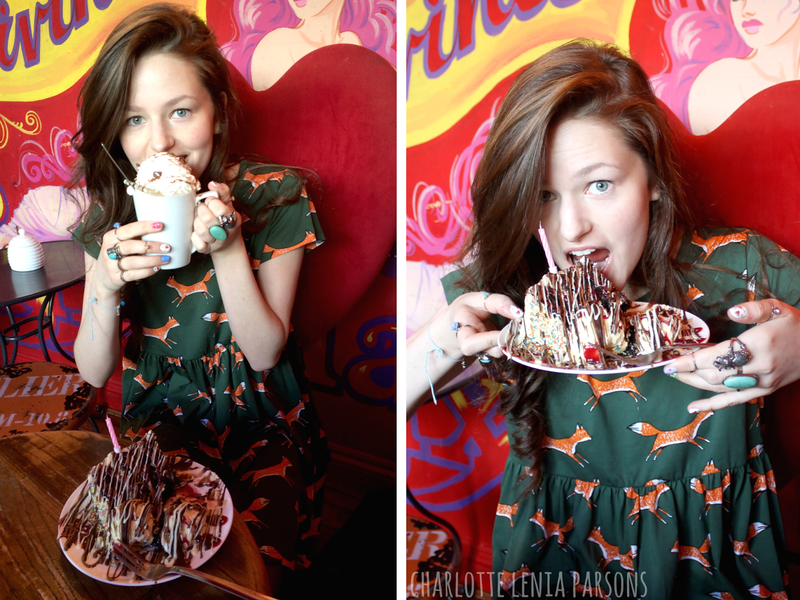 So when I saw this dress covered in wonderful, charming foxes, my mind just went to a very happy place! The ideal birthday dress for me that's fo' sure. 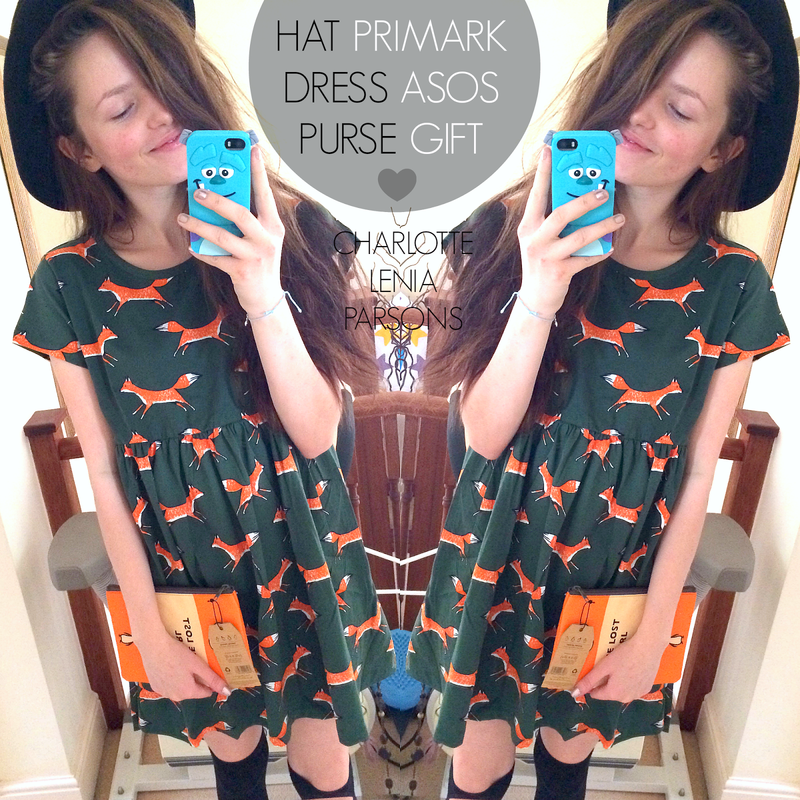 I matched my dress with my black hat and my new 'Penguin book cover' purse I got for Christmas from my parents. I love funky accessories and this penguin purse was calling my name! 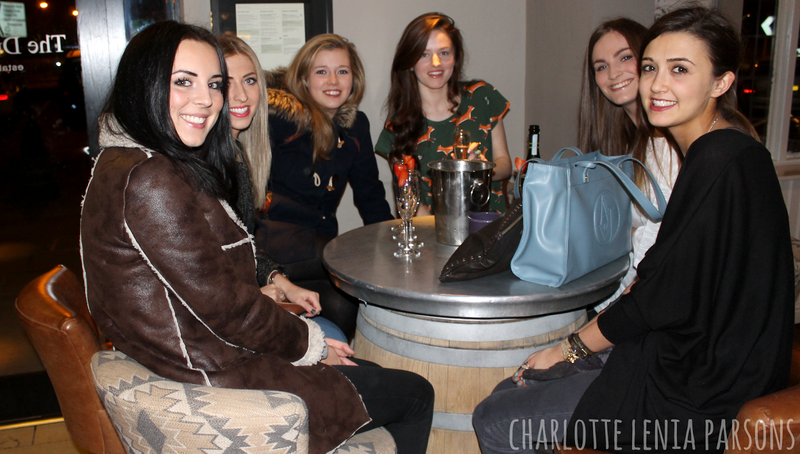 I also wore my new bag out in the evening - but that'll have a showering mention later on in this post! I finished off the look with neutral makeup and ultra curly hair (and jewellery - the rings, mustn't forget the rings)! When it comes to nail art I tend to get a little carried away, over the years I seem to have hoarded quite a bunch of nail art related things. As I painted my nails on the eve of my birthday I had in mind to create a crazy/ hectic theme - I grabbed my current favourite Barry M Gelly nail polishes (see my collection here) and the rest just kinda turned into a vibrant vomit. Includes fimo melon pieces, gems and stars - perfect for my birthday I think so! These array of images are just some of the lovely things I was so kindly gifted by my family for my birthday. 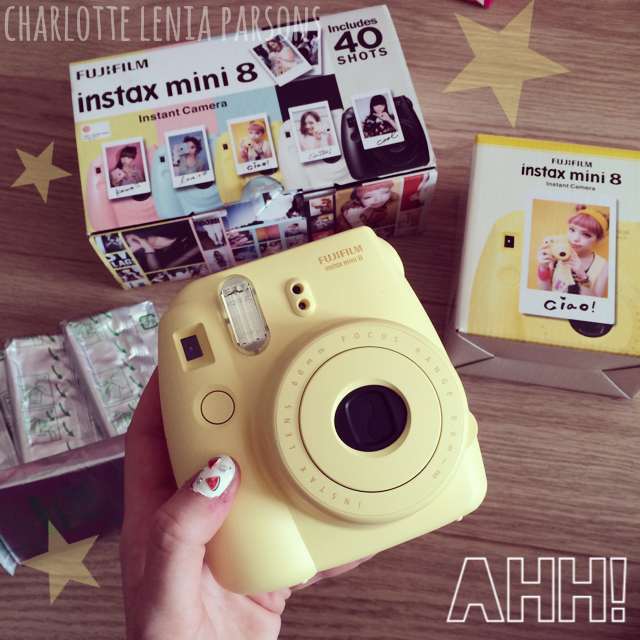 First of all, can I just share my excitement - I got a Polaroid AGHH! Being amongst the blogging scene I have seen oh so many Bloggers and YouTubers with these cameras, I have been dying for one for oh so long and my birthday finally saw me have one - oh so grateful and still yet to use it! Let me know if you have one too, any tips to using it well are welcome! I was also super happy to find a selection of Tanya Burr's brand new nail varnishes amongst my gifts! I'm sure you all know Tanya, but for those who are unsure - Tanya is a Blogger & YouTuber with a lot of experience in the beauty department, I have been watching her videos for a hella' long time now and was so excited when hearing about her new lip gloss and nail varnish collection - so it was only right that I wish for a few of them myself! It's safe to say these polishes do not disappoint! Currently crushing over 'Little Duck' the perfect Spring colour that adds a smile to any outfit! 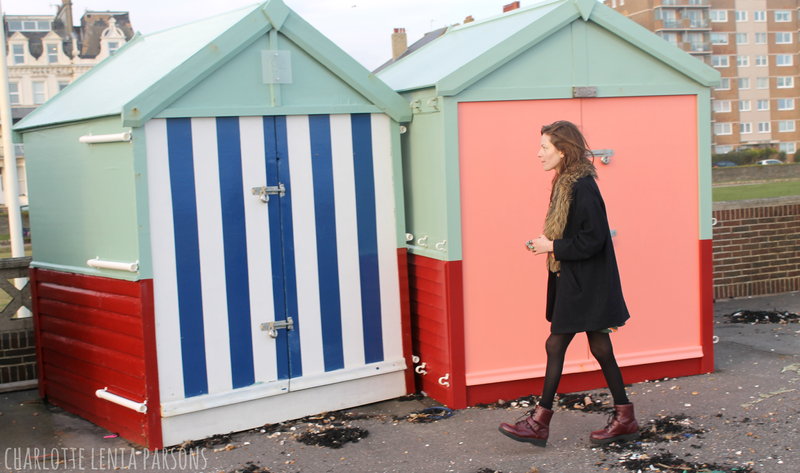 After opening my lovely presents early in the morning (and having a box of Maltesers for breakfast..) - it was time for myself and my mum to venture to Brighton, one of my favouritest places to visit. It's such a wonderful city and a dream when the sun is shining! 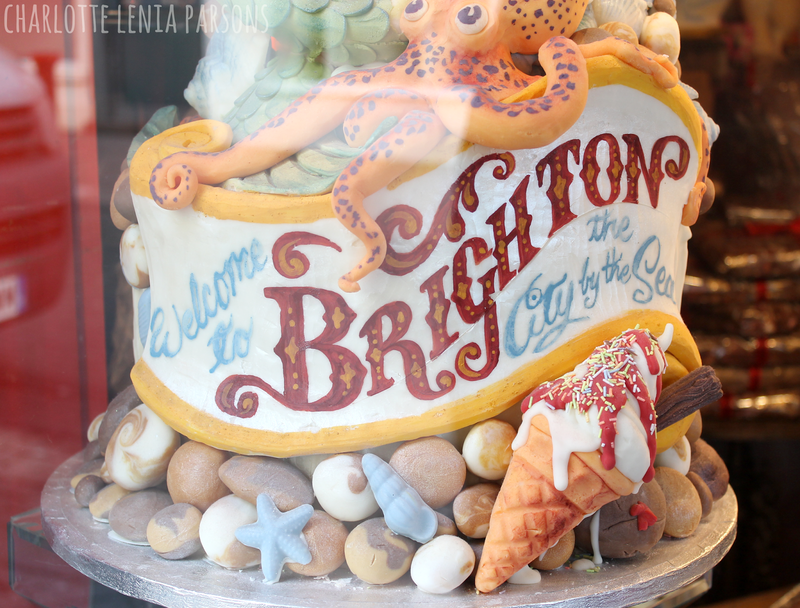 I've been visiting Brighton ever since I can remember and there is one place I've always wanted to go but never actually been to, that place is 'Choccywoccydoodah' one of Brighton's famously, deliciously, chocolaty shops, they also have a cute cafe right round the corner which is where I wanted to go! 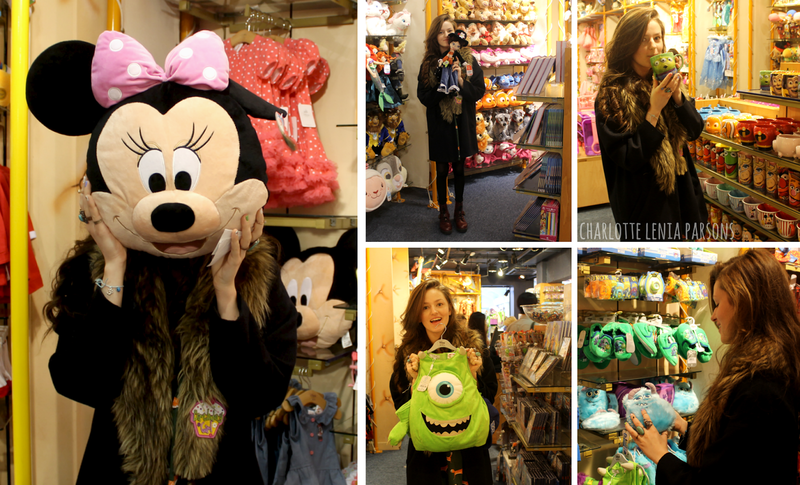 But first.. Disney Store. 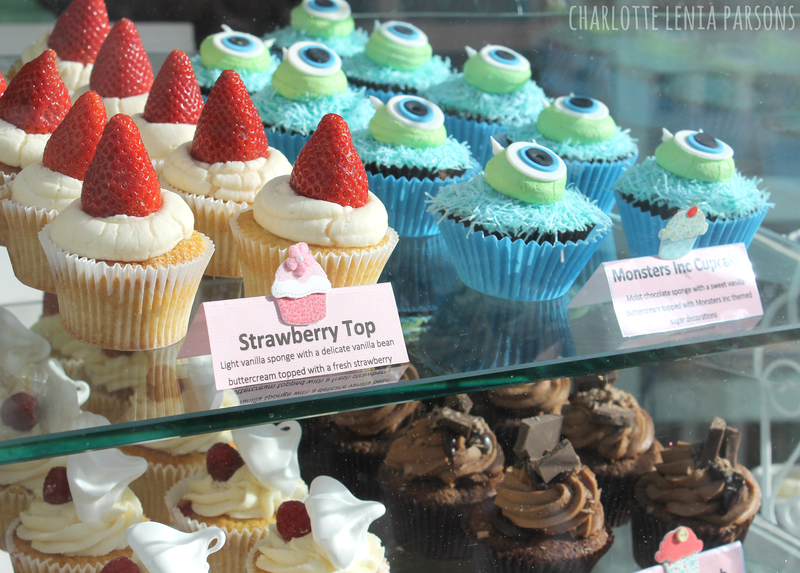 I snapped up the photos below from the Choccywoccydoodah shop situated in the town. 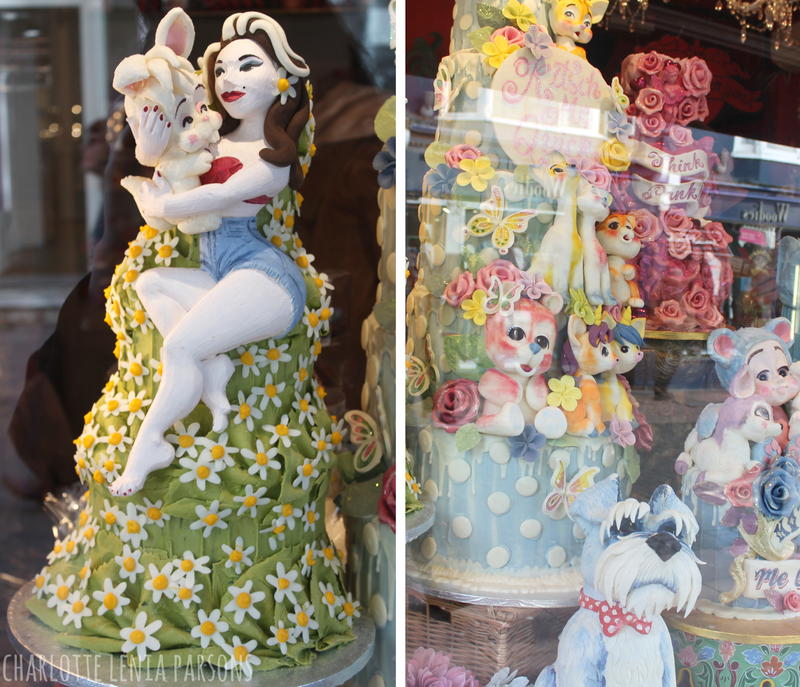 The crafty cakes from this shop are mad, if your someone like me who is obsessed with watching cake cooking programmes then you may recognise some of these styles and designs as Choccywoccydoodah has it's own TV programme! 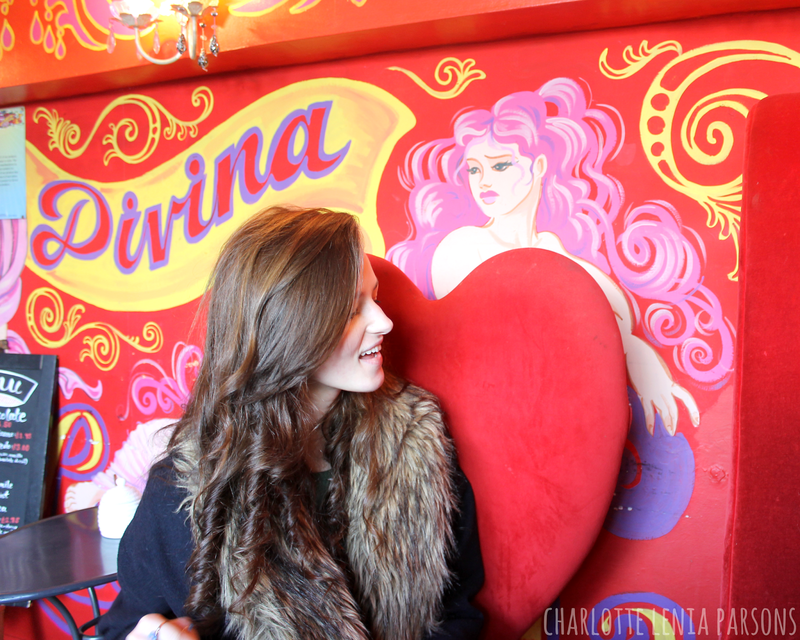 After nosing around the shop, our belly's were rumbling - so off we ventured to the Choccywoccydoodah cafe. The little cafe is situated just outside of the lanes, but is in fact moving to a new location just around the corner - so I'm already looking forward to visiting the new place! 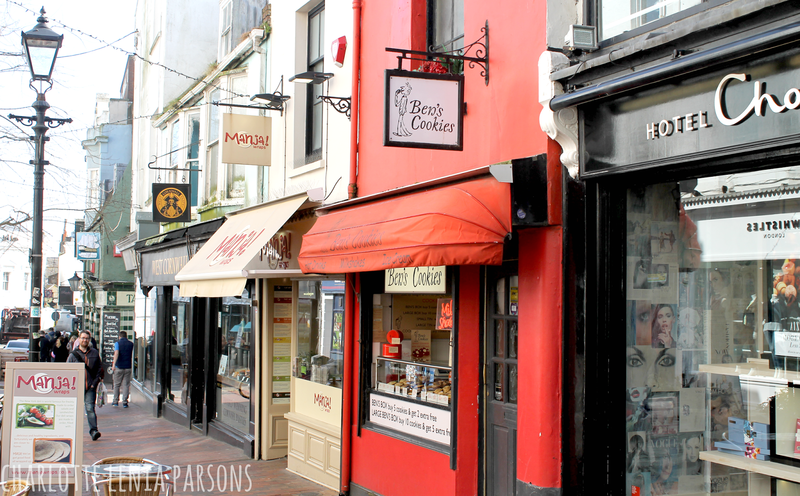 If you are after some seriously sweet treats then this is the ideal spot - see for yourselves in the following photos! Gah. 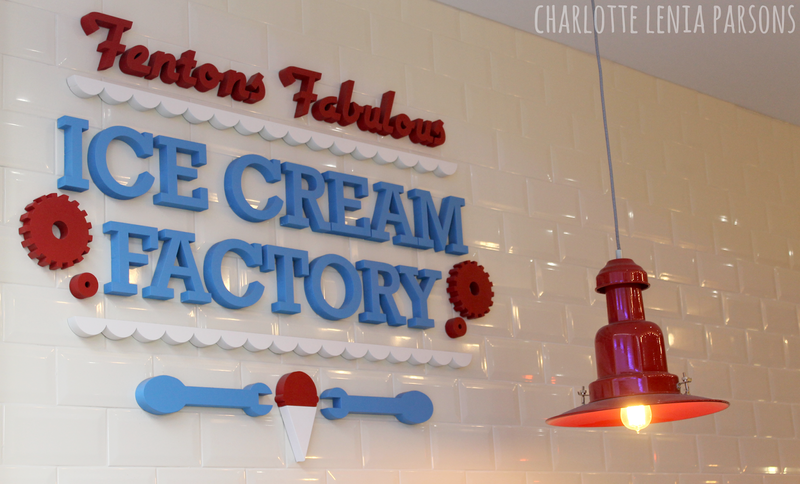 I was so in awe of this place, you could not fault the staff and the delicious chocolate. 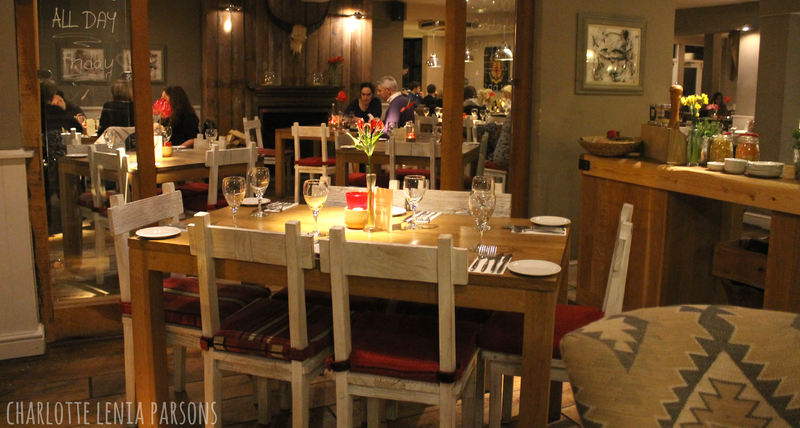 The decor was super lively which suited the atmosphere wonderfully. 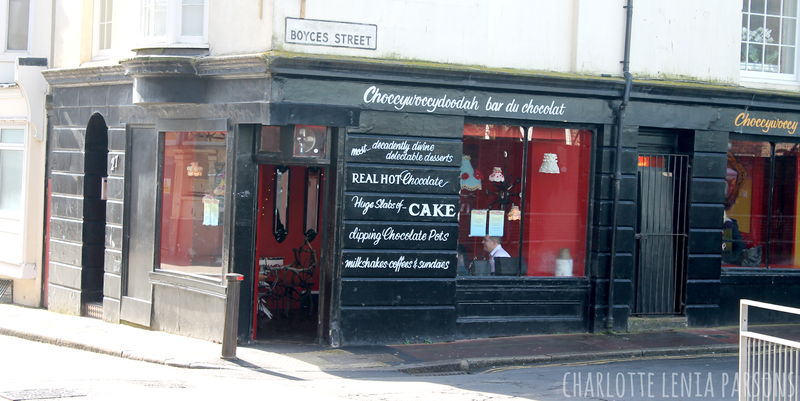 As myself and my mum had never visited the Choccywoccy cafe before, we were a little unsure on what exactly to order as the yummy sights of everything was a little overwhelming. 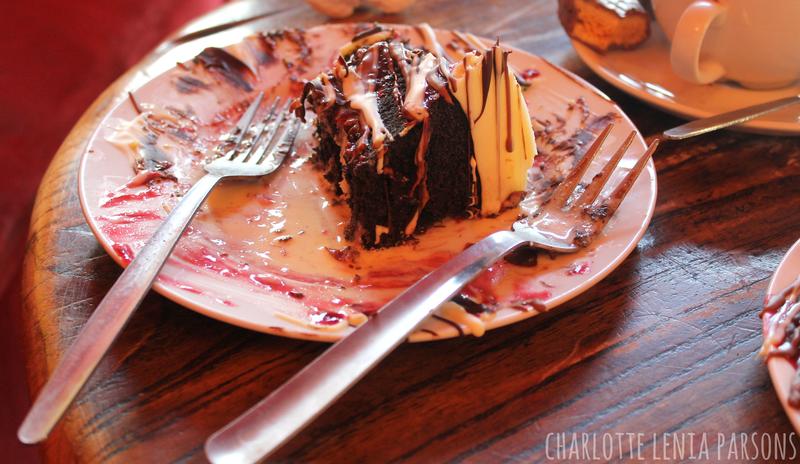 With great help from the friendly staff, two pieces of 'Chocolate Dream' cake with a hot chocolate and cappuccino were ours! We situated ourselves on a rather swanky red velvet couch and sat back and savoured every second. As I shamelessly was wearing a birthday badge, the staff ensured it went down in cake-style. The music stopped and in walked the scrumptious looking cake with a cute little candle on top and everyone singing happy birthday. It was so unexpected and I just couldn't stop smiling! This joyous moment was then followed by 'Honeycomb Hour' free honeycomb chocolate for everyone - woohoo! The presentation was something I'd never seen before, it was deliciously beautiful - my mind was boggled and I just couldn't wait to dig on in. The cakes tasted as good as they looked, every flavoured piece of chocolate, every coloured sprinkle and scrummy icing - mixed with my thick milk hot chocolate and marshmallows, I had gone to chocolate heaven. As much as myself and my mum tried to finish the entire cakey-contents, we were defeated, as described by the staff - we had been struck with a 'cake-coma' an overwhelming feeling of 'ah.I.can't.move.no.more.cake..' After such a pleasant couple of hours just being happy, eating cake, singing and feeling inspired - we packed our leftovers into a little box and off we went for more exploring around Brighton. 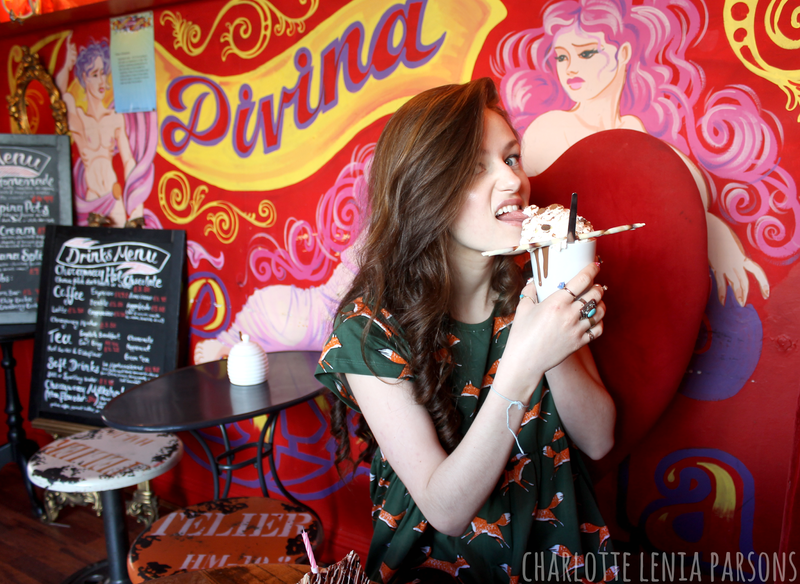 Thanks for having us Choccywoccydoodah! 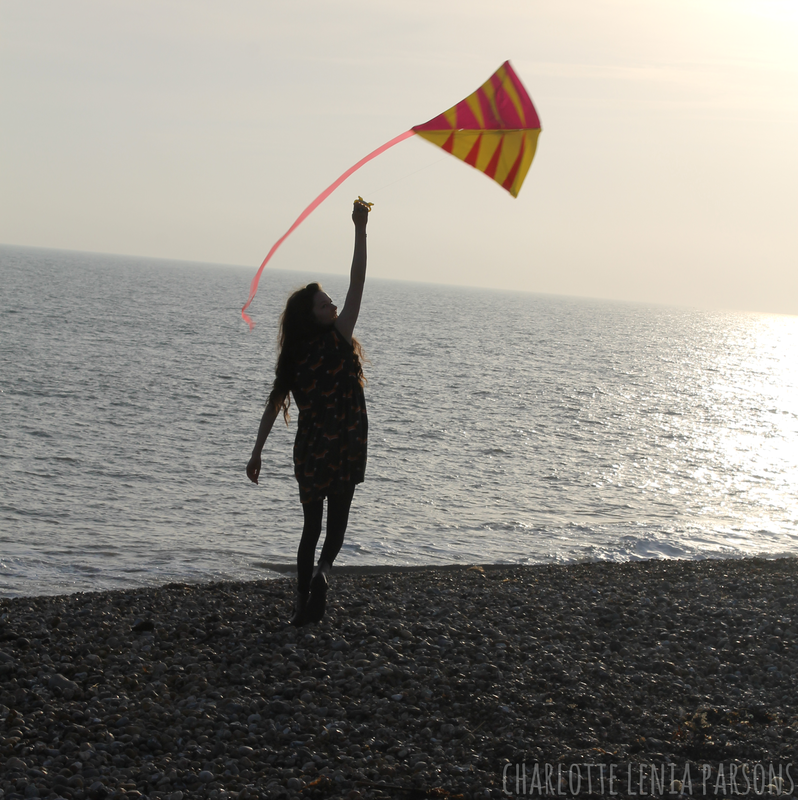 We pondered the shops (where I found and brought my dream bag - picture to follow), had lots of fun.. And only one thing was left to do - let's go fly our kites..
You could not fault the weather - thank you for being so sunny Brighton! Although there was a rather sharp breeze, it didn't stop us having a joyous time, the wind was perfect for flying a kite, not too crazy - just right. My absolute favourite film is 'Saving Mr. Banks' it had me and my mum crying/ sobbing from beginning to end and I have not stopped talking about the film ever since. 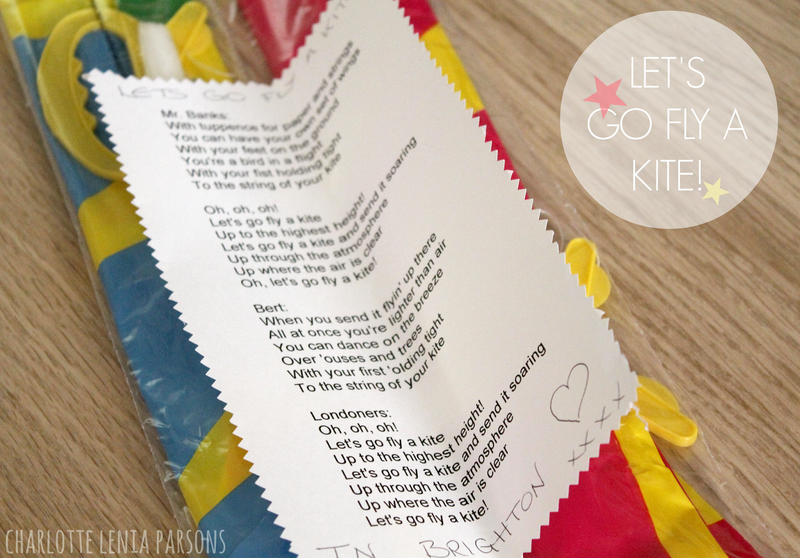 As it's of course based on the story of Mary Poppins, my favourite song is 'Let's Go Fly a Kite'. 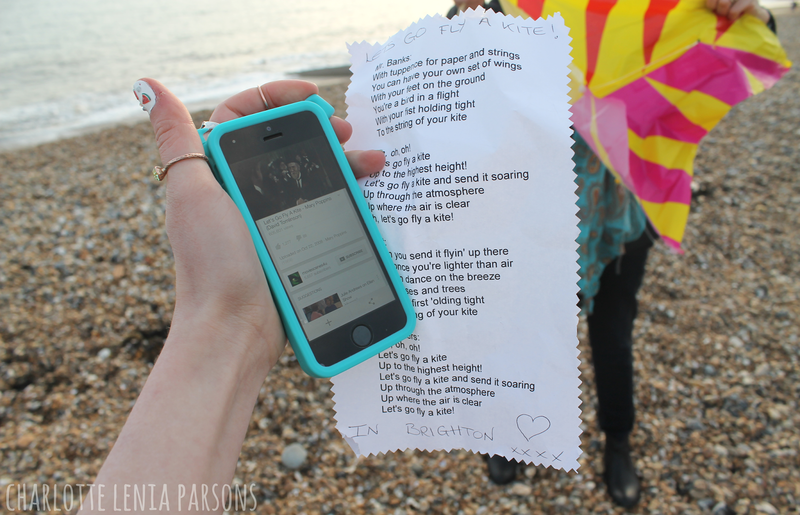 So when unwrapping the kite for my birthday - with lyrics attached - I was super happy, I love thoughtful gifts and it felt such a dream! 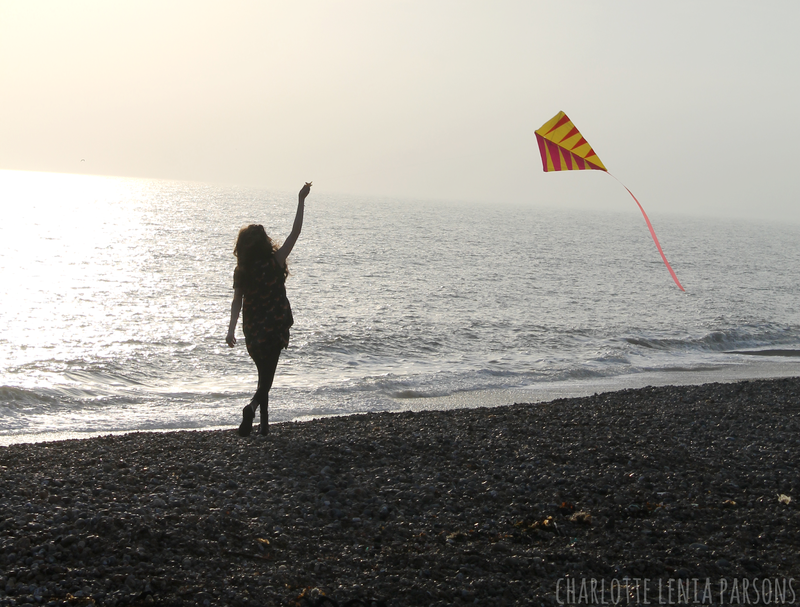 As my birthday was a couple of weeks ago now (how fast has that gone..) I often find myself thinking of the moment running along the pebbled beach with the sunset in hand, flying my kite. I hadn't found a happiness like that before, like, an indescribable happiness, only one which I can experience for myself and keep locked up in my mind forever, my lovely mums got a lot to do with it - so thank you for making a teeny dream I didn't know I had, come true! Isn't that weird, the littlest things in life make us oh so happy. Ah can you see my new bag, can ya? can ya? can ya?! I brought it from a shop in Brighton called 'Ollie & Nic' - I very rarely fall head over heels for bags, but I went a little weird when stumbling across this one. It instantly reminded me of P.L. Travers' bag from Saving Mr. Banks, I swoon for coral colours and the size of the bag is just right for fitting all my things in - even my big camera! 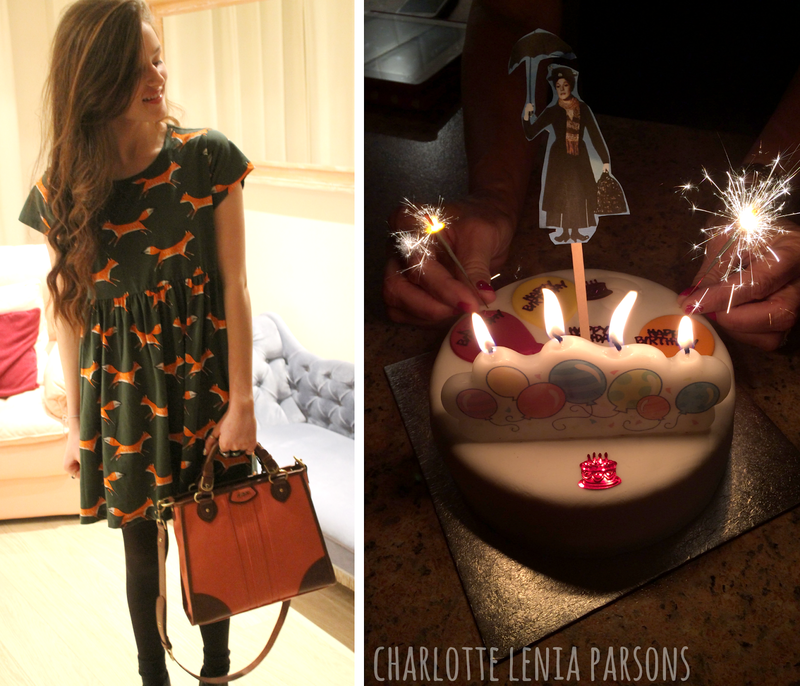 My birthday was pretty much Marry Poppins themed from beginning to end - and it was great. In the evening I organised a little area at one of my favourite places near to where I live for all my friends to gather and join me in celebrating. The decor is heaven to my eyeballs and the atmosphere is always wonderful. Before my friends arrived, myself my dad and my mum ordered champagne and just reminisced and smiled - lots. It would have been all the better if my brother was there, but I saw him on the weekend for his birthday (3 days apart - he's 21 though! ), so I will let him off! The whole day and night just felt like I was in a bubble, a super happy, dreamy bubble. One I'd like to find myself in more often, I couldn't even script my birthday - everything and every moment just fell wonderfully into place. Grateful for such kind friends and my lovely family. Thank you for making it truly the best birthday I think I've ever had! 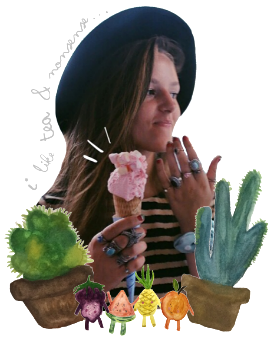 Thank you for all those who wished me a happy birthday and for making me smile huge amounts, oh so much love. 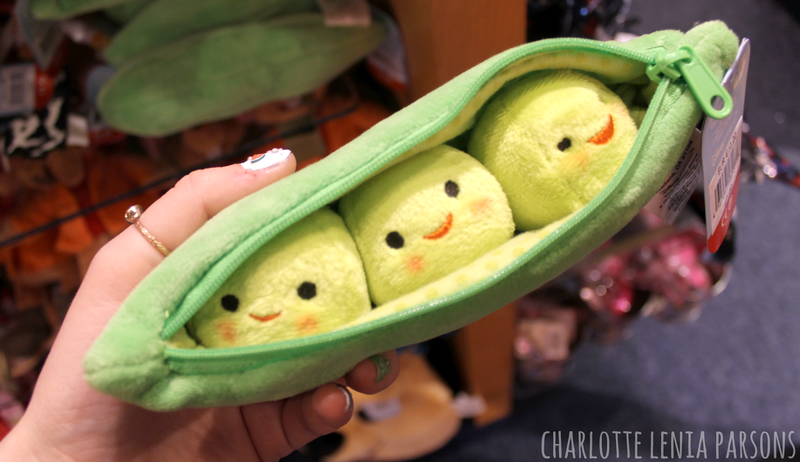 This has been a super fun post to do, so I do hope you liked it too! 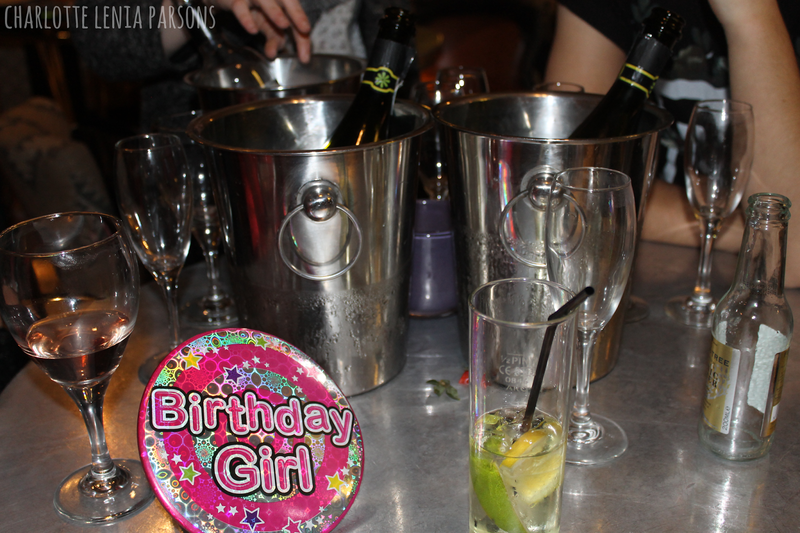 Your birthday sounds like absolute perfection from beginning to end! 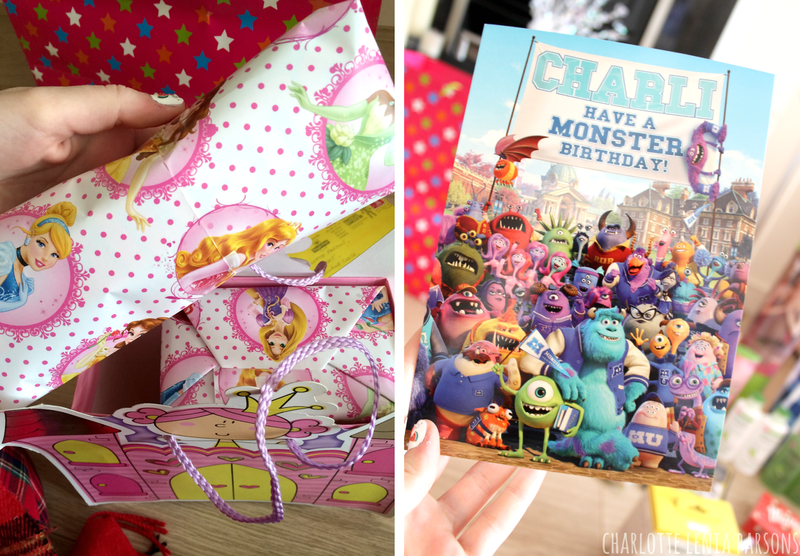 I love that you started the day by eating a box of Maltesers and opening Disney themed presents and cards! I'm not even joking - that is the perfect birthday beginning! 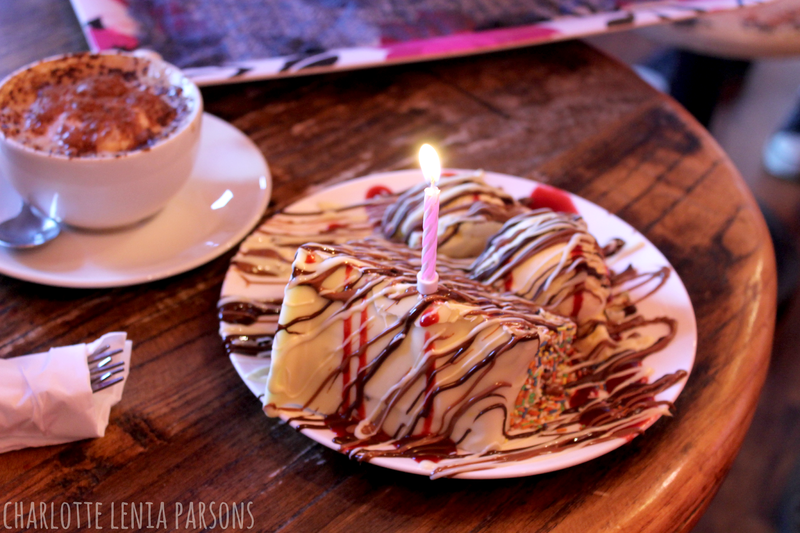 Brighton is also an amazing place to spend a birthday, especially with a visit to Choccywoccydoodah included - I went to the shop in London and bought a chocolate bar so massive and thick I think I honestly could have used it as a weapon! 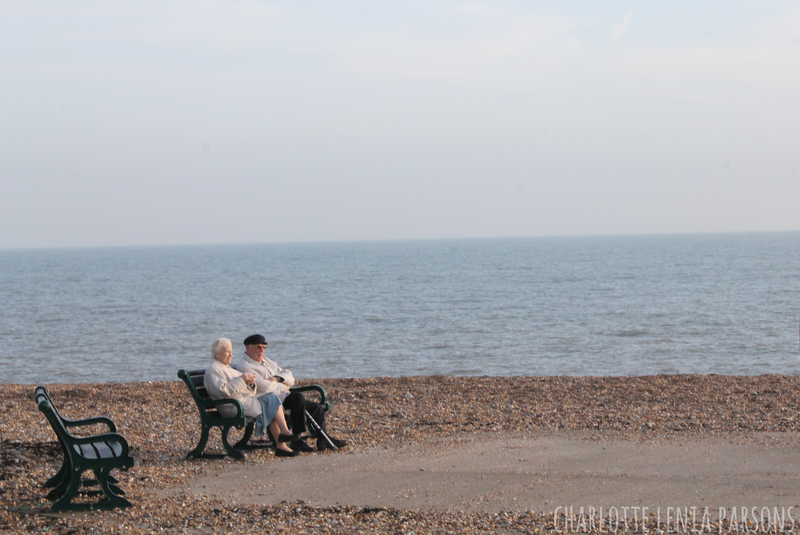 I also have to mention the kite flying in tribute to Saving Mr Banks - how lovely! p.s. 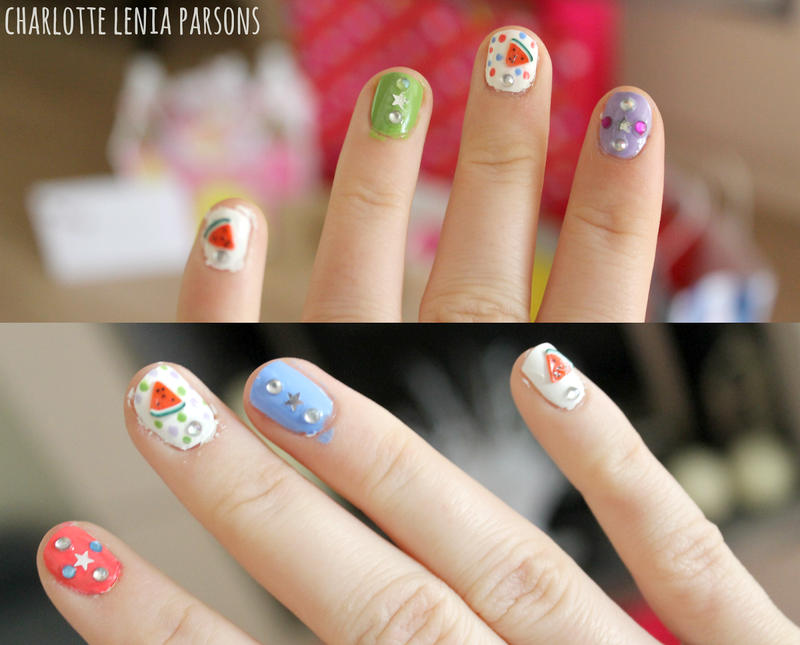 your nails are incredible - I have a sudden urge to break out my nail pens and cute stickers! Ahh thank you your comment has popped a huge smile on my face! Maltesers should be a necessity for every breakfast time won't you agree haha! 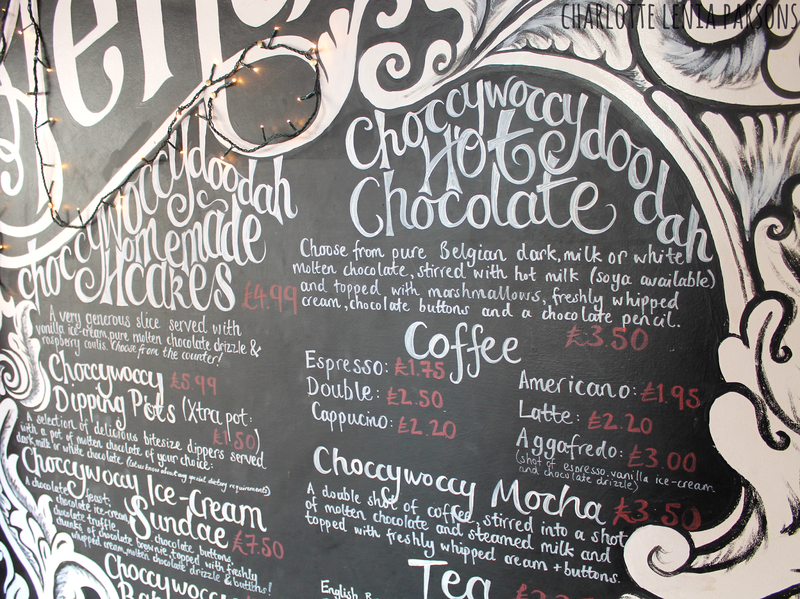 If you haven't already, visit the cafe in Brighton, your mind will be in a wonder, mmmm that sounds so yummy now craving one of those! Pink & Green Choc Chip Pancakes!